Ensaf Haidar is announcing a new foundation, named in honour of her husband Raif Badawi, to lobby on behalf of jailed journalists throughout the world. Badawi, a 31-year-old blogger, is currently serving a 10-year prison sentence in Saudi Arabia after being convicted of criticizing Islam and promoting liberal thought via his website. He was also sentenced to receive 1,000 lashes to be delivered in batches of 50. However, after the first lashing he was so badly injured that his subsequent weekly sessions were suspended for several months. 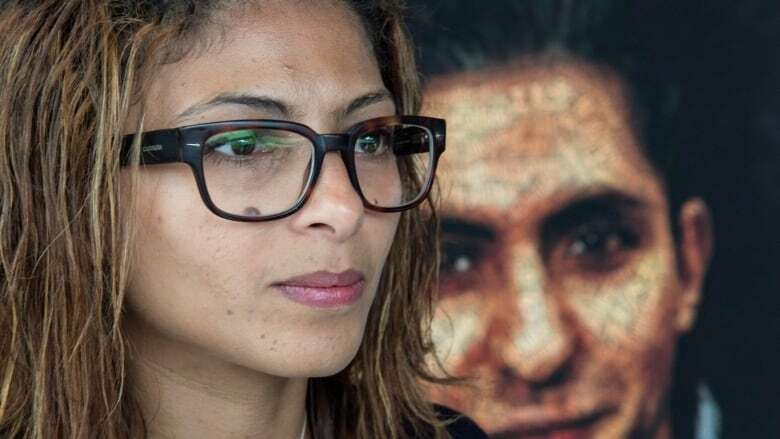 Haidar, who lives in Sherbrooke, Que., with her and Badawi's children, created the Raif Badawi Foundation for Freedom with the help of Quebec legal clinic Juripop. She and members of the legal clinic announced the creation of the foundation Friday morning. The announcement was also simultaneously webcast in Berlin, where Haidar was meeting with international dignitaries to assemble support for her husband's freedom. She also called on the federal party leaders to make their position on freedom of the press and freedom of expression known, and to explain their plans for freeing Badawi.